Oh how we love paper crafts. 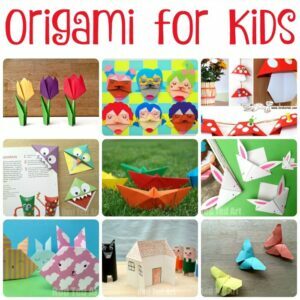 Paper crafts for preschoolers. 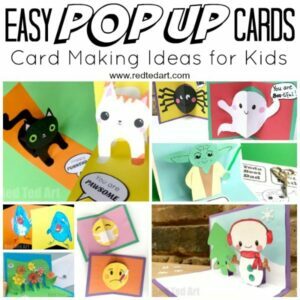 Paper ideas for kids. Paper DIYs for grown ups. 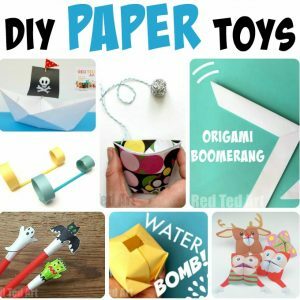 Paper crafts for young and old!!! We love paper. And we love paper so much because it is cheap and it is SO SO SOOOO versatile. 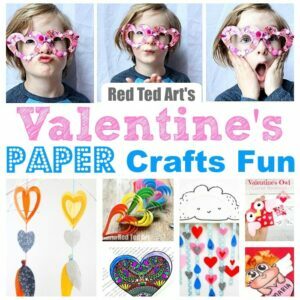 Since starting the Red Ted Art YouTube channel we have been adding more and more paper crafts to the blog – mainly because I have come to realise how paper really is a universal craft material that most people have access to AND because I love how very very versatile it really is. 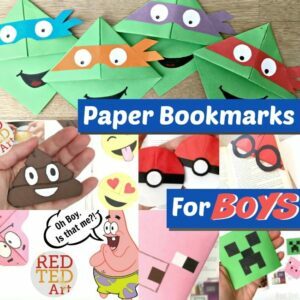 We also have a fantasic Crafts with Paper YouTube Playlist, that you may enjoy watching! And do follows on Facebook for updated information! 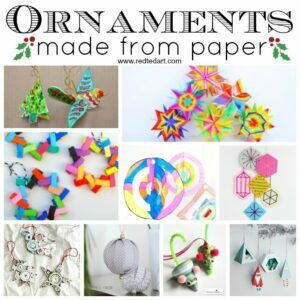 This page is a designed to help direct you to the paper craft of your choice. So it is really just a place to help share all our paper crafts categories and help point you in the right direction. I was tempted to put all our paper crafts in one long list, but that would be really hard to navigate. If you have any suggestions of how you would like me to reoganise this page, please do let me know. In the meantime… click on the images below to help you find the area of interest and choice! I will add new Paper Craft topics and sections over time. 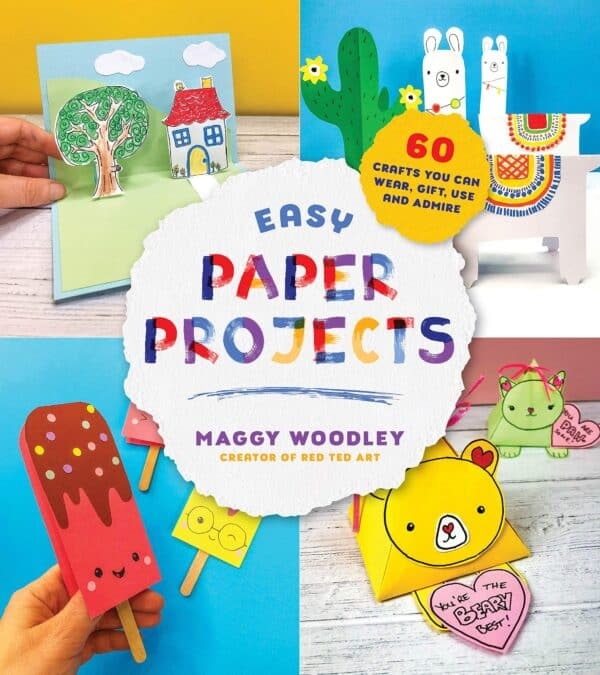 My brand new PAPER CRAFTS dedicated book is available for pre-order…. To make everything in this book – all you need is a pad of coloured paper, some light card stock (though you can just use the paper too) and some bits and piece from the stationery cupboard/ recycling box.. We are so excited about this “low materials” requirements book – hopefully making crafting for kids really accessible, easy and not too messy!!! First 100 people to email me on info@redtedart.com with your pre-order confirmation will receive a signed “book plate” to put in your book! 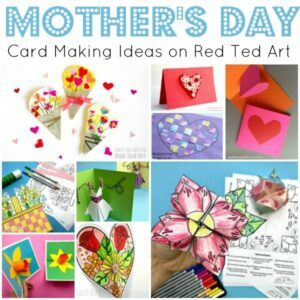 Mother’s Day Cards are always a popular Paper Craft for this time of year! 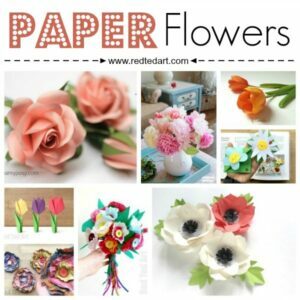 Paper Flower Crafts – learn how to make paper flowers at home! Super cute paper flower crafts for all age groups! Be sure to come back and to see these lovely flower diys made from paper! 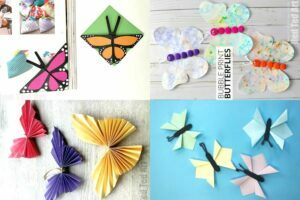 Or check out our collection of how to make paper butterflies – over 17 paper butterfly crafts to choose from! 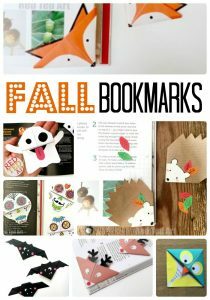 Well we do LOVE a Corner Bookmarks Design! 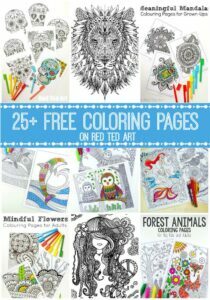 These are super popular with my kids, as well as teachers crafting in the classroom. Well over 100 designs to choose from and keep everyone busy. PAPER ROCKS! Paper Crafts are huge! 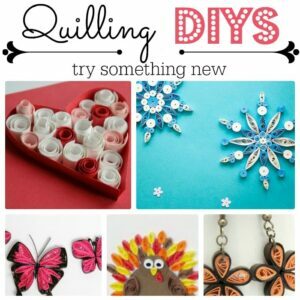 There are so many craft types that “paper DIYs” cover.. from Origami for Kids and beginners, to crafting with newspapers. 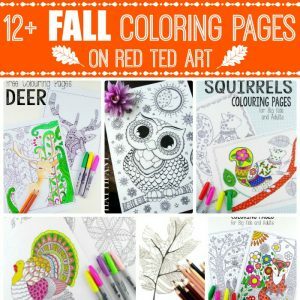 Colouring sheets fall under the broad paper crafts category, as do DIY Card Making ideas. Here we have tried to group our Paper Craft ideas by type! 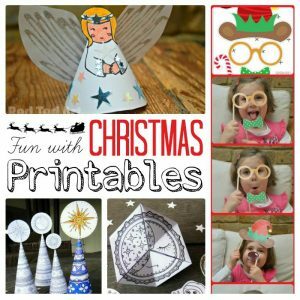 We love paper craft ideas all year round.. especially around the seasons. 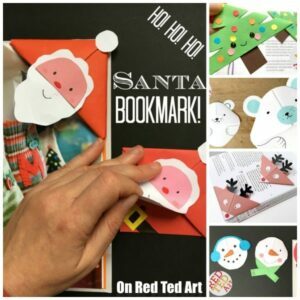 Paper is great to decorate with and great for making seasonal paper craft greeding cards. 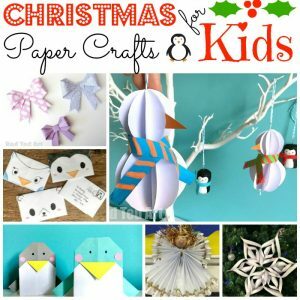 This section brings together our favourite Seasonal Paper Crafts for Kids. 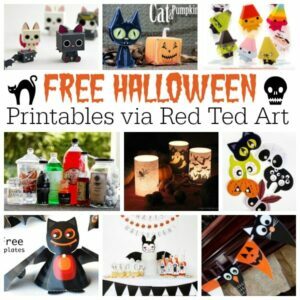 From Paper Easter Crafts to Halloween and Christmas. We will continue to add this seasonal section over time! So pleased do pop by every so often for new season easy paper crafts for kdis! 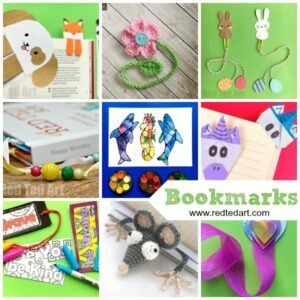 You will notice that we have a particular love for bookmarks!! Especially paper bookmarks and we have a number of sub categories looking at wonderful Paper Corner Bookmarks for the seaons (we particularly adore the Christmas Bookmark Corners!). Needless to say, we have an extensive list of Paper Valentine’s Crafts for you! 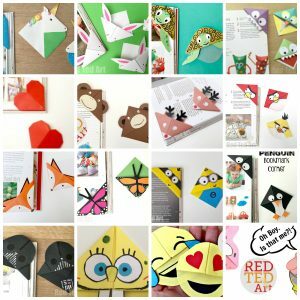 So many brilliant paper crafts for kids! 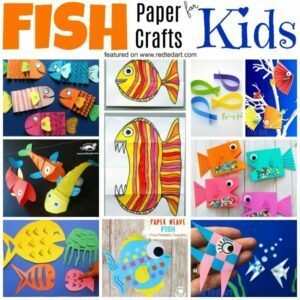 Fun with Paper Fish Crafts for Summer! 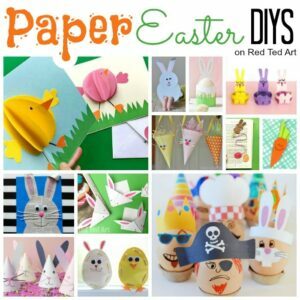 And looks like plenty of you are planning your Paper Easter Crafts! Such a lovely season to craft for! 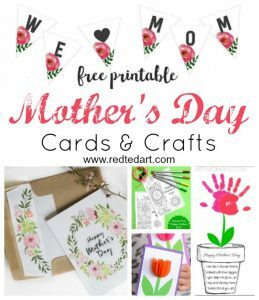 With lots of great printables for Easter! 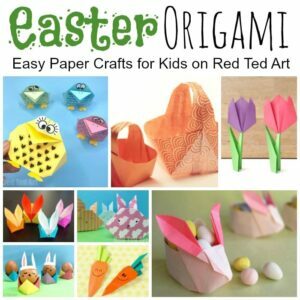 Or maybe you are more specifically interested in EASTER Origami for Kids? Here is a great collection of our favourites – with ideas for beginners and young children, through to intermediates! We love Newspaper Crafts too…. 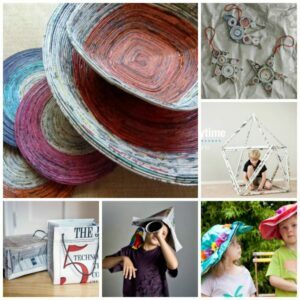 newspaper are super fun and just as versatile as paper.. embrace the print or papier mache into something completely new!! 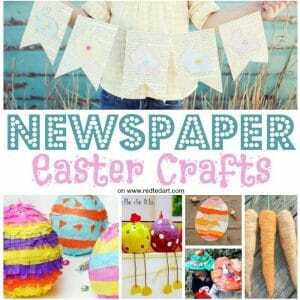 Here are our favourite Easter Crafts from newspaper! Dedicated to the gorgeous little bunny rabbit. 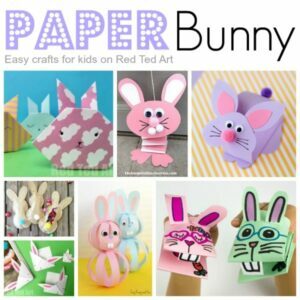 Learn how to make paper rabbits step by step, with this fabulous collection of Paper Bunny Crafts for Kids! Too cute. 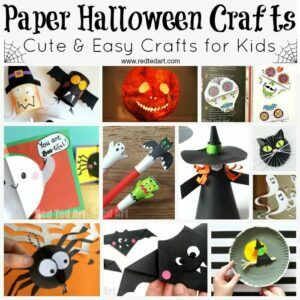 Paper Halloween Craft for kids! 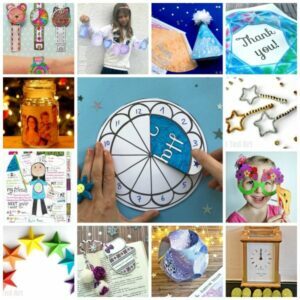 A there are a great number of Paper New Year’s Craft in this COUNT DOWN activities collection! 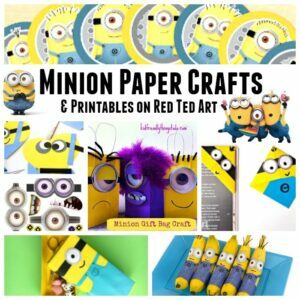 If you love “topics” check out this topical Paper Crafts for Kids section – at the moment we focus on the Corner Bookmark Crafts, general paper bookmarks as well as fantastic set of Minion Paper Crafts and Printables. We will be adding to this section over time. Please do leave me feedback if there are any paper craft topics that you are particularly interested in!